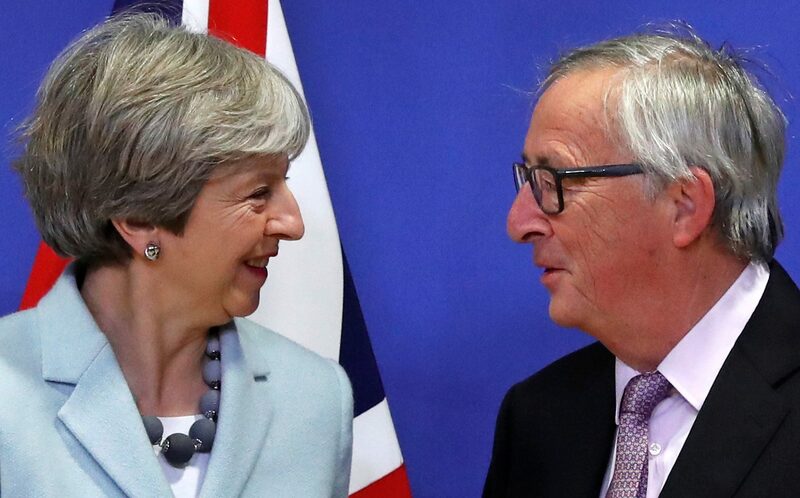 Theresa May’s deal with the European Union averts a chaotic divorce for now. But a fudge about the Irish border exposes the difficulty of preserving trade while leaving the bloc. A transition phase will create scope for May – or another prime minister – to make new concessions. Britain and the European Union on Dec. 8 agreed the outline of their divorce, clearing the way for talks about trade and a transition period. The European Commission said enough progress had been made after the two sides worked through the night to end an impasse over the status of the Irish border that had scuppered an earlier attempt to clinch a deal. Donald Tusk, the chairman of European Union leaders, welcomed the deal but said Britain still needed to provide more clarity on the new relationship after Brexit. A joint report from negotiators spelt out the agreement on the rights of EU and UK citizens after Brexit, the terms of the financial settlement, and the status of Northern Ireland. The report said Britain intended to avoid a hard border in Northern Ireland through the broader relationship between the two. In the absence of a deal, Britain would propose “specific solutions” to avoid a hard border, and in the absence of any such solutions would “maintain full alignment” with rules of the EU Single Market and Customs Union which support North-South agreement. The commission will now begin work on the next phase of talks, which cover a transitional period, trade, and long-term relations with the bloc. Draft guidelines showed the transition period would last around two years. During that time, Britain will remain part of the customs union and single market but will no longer take part in EU institutions or have a vote. It will still be subject to EU law. By 0900 GMT the pound was trading at $1.3488, up 0.1 percent, and at 1.148 euros, up 0.35 percent.